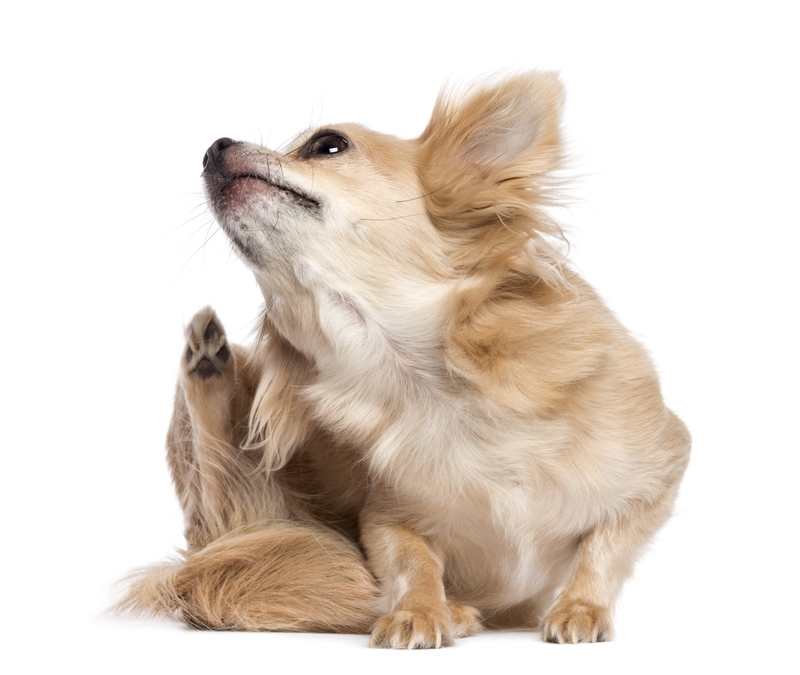 Recently, I have had many customers ask me why I recommend PetGuard’s Yeast & Garlic Powder to help prevent fleas and itchy skin when they’ve heard that garlic is toxic to dogs and cats. The same question arose when Natur-Tyme’s Facebook page showed a picture of me with this product as one of my top-recommended products. One of our fans provided a link in her comment that stated that all plants of the Allium genus [Onions (Allium cepa), Garlic (Allium Sativum)] are dangerous for dogs and cats. This is not true. That would be the same as assuming that all of the Salvia (sage) genus are safe (some make you hallucinate) or that all basil has the same capability of helping balance blood-sugar as Holy Basil (Ocimum sanctum) does. For good measure, I’ve double-checked myself and the sources of my information. I re-read the books I frequently use as reference and a couple of them recommend fresh garlic dosed by weight. I understand and agree with this statement because I know that even one fresh clove of garlic upsets my stomach, but I can pile on the powdered stuff without issue. Also, I have given yeast and garlic powder to my previous cats for years and they lived to be 20 and ½ years old and 17 years old. I currently use it with my 1-year old cat and 1-year old dog. We all make New Year’s resolutions for ourselves every year. This year, why not consider making a couple for your pets as well. You’ll be amazed how bettering your pet’s life directly affects the quality of your life. Have you ever heard the saying that a person’s pet tends to resemble them? Well, there is a lot of truth to that. If you live a sedentary lifestyle, then it is highly likely that your pet will as well. If you are fit, active, and eat well, then you are likely to treat your animal to the same standards. Feed your pet a clean diet. If you make a conscious effort to feed your animal a clean diet you will be more aware of the poor choices you are making in your own diet. Take your pet for a brisk walk 2-5 times a week. You’ll both benefit from that. Talk to your pets. They may not understand you fully, but they will understand your intent. They are unbiased listeners who love the attention. Make a point to play with them daily. Play is essential to their happiness, as well as yours. There are many things that you can do to better your animal’s life, and your own. Have fun with it, come up with some of your own, and watch the changes happen for both of you. 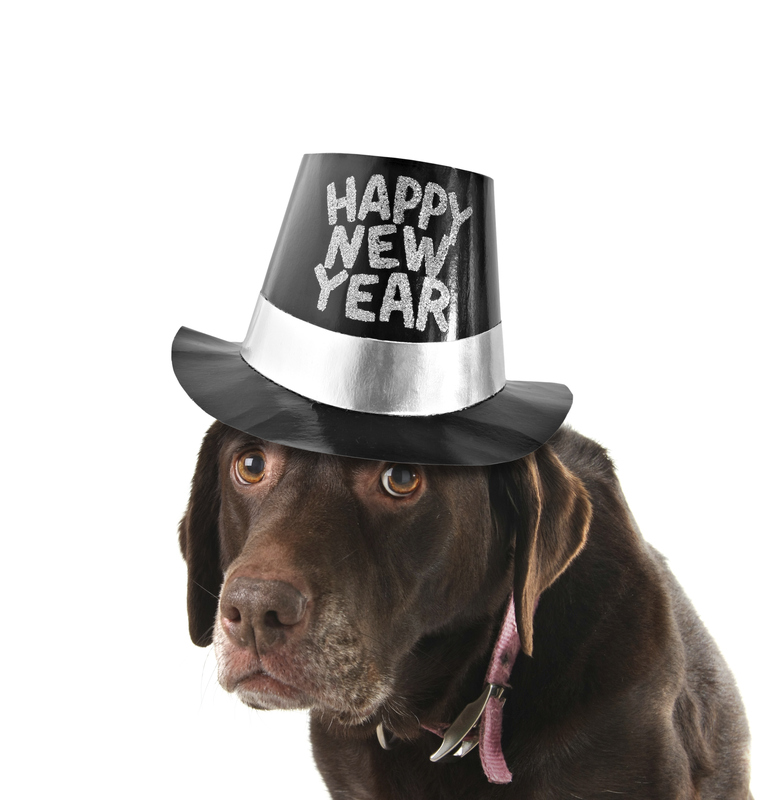 Happy New Year to you and your fur-babies! 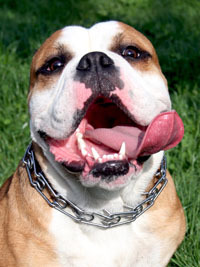 Most people have had the displeasure of having an animal breathe on them or lick them with wretched/foul breath. Unless they have just eaten, the normal state of an animal’s breath should not be terribly offensive. There are many reasons why an animal might have foul breath. The four most common of these are accidents that damage the teeth and gums, congenital defects/developmental disorders, periodontitis, and tooth decay. These situations can cause the gums to loosen from the teeth, debris (including food, hair, and bacteria) to build up in the gums and between the teeth, abscessing and/or tooth decay, and of course foul-smelling breath. Prevention is always the best medicine. A raw, species-specific diet is the best prevention of plaque build-up, imbalance of oral bacteria, and tooth decay. For cats and dogs, the action of chewing on a chunk of meat/bone works their jaw muscles, balances their oral pH, and strengthens their gums. If you are unwilling or unable to provide this type of diet, it’s a good idea to supply your pet with other tools to keep the balance orally. Garden of Life makes a wonderful ‘oral health’ probiotic called Better Breath for pets. This is a wonderful preventative that can be started at a very young age and given sporadically over the lifetime. If it’s too late for prevention, there are a few homeopathics that can be helpful in relieving issues such as plaque build-up, mouth pain, foul breath, mouth ulcers, and much more. Every spring, Natur-Tyme is inundated with allergy sufferers wanting relief for themselves and their fur-babies. Our fur-babies may itch, lose hair, have flakey/scaly/oily skin, and/or be uncomfortable all-around. Diet – Diets that are not species-appropriate are highly likely to cause allergic reactions. If symptoms don’t manifest right away, they will eventually. Slow buildup of intolerance is one of the most common reasons people don’t suspect the diet for their pet’s allergies. When there are allergies in animals, diet is the first thing to question. Most foods – even high quality ones – have grains as one of the top-three ingredients. Proximity to the world – Proximity to the world means that they are low to the ground and they are exposed to every bit of dust, chemical, and/or grime out there, leading us to the next trigger. Household chemicals – This includes everything from your cleaners, perfumes, and even dryer sheets. When you clean the floor with common cleaning solutions, a residue is left that your animals have no choice but to walk through. When they groom themselves later on, they lick that residue off and in doing so are ingesting it. When you spray anything in your house, always remember the old adage “What goes up, must come down.” Pets get a snoot-full of those perfume chemicals and their sinuses are overwhelmed. Grooming supplies – All items you use to groom your pets should be safe enough to be ingested because they will no doubt groom themselves. Keep these points in mind when making choices and you will be well on your way to a happy healthy pet! Here at Natur-Tyme, it pleases us to see that more and more individuals are making eco-friendly choices. Do you make eco-friendly choices for your pet? We can help you! When choosing food, make sure that your choices are the cleanest available. My preferred dry and canned brand is Evo. They’ve used high-quality ingredients since their inception in 1992. Their facility is as eco-friendly as possible as well; they use recycled paper and plastic in their packaging. They even went as far as switching their “corporate-use cars” to hybrid cars, cutting their overall emissions footprint by 30% in the first year. Other brands such as Fromm’s, Pet Guard, and Newman’s Own are made in the USA, and utilize organic ingredients as often as possible, which helps keep pesticides out of the environment. They also use packaging that is comparable to the standards set for packaging of human foods. 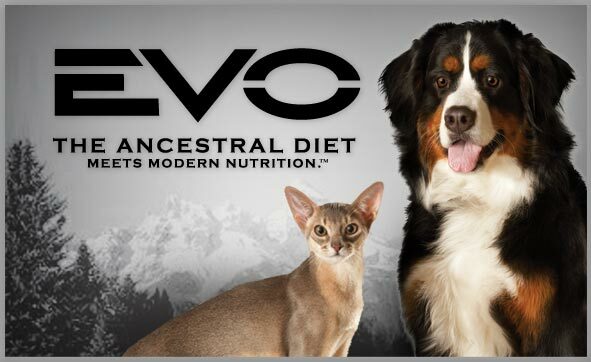 Pet supplement companies have jumped onboard with the eco-friendly trend as well. Several companies we recommend are certified organic, use recycled materials in their packaging, and use only Non-GMO, non-engineered, and non-altered ingredients. This, again, helps to lessen their environmental footprint, prevent chemical runoff into the soil and water supply, and avoid the potential issues involved with genetically modifying seeds and plants. • No fillers, binders, additives, flavor enhancers, etc. This time of year, Natur-Tyme is inundated with allergy sufferers wanting relief for themselves and their fur-babies. 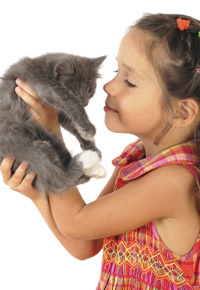 Our fur-babies may itch, lose hair, have flaky/scaly/oily skin, and/or be uncomfortable all-around. 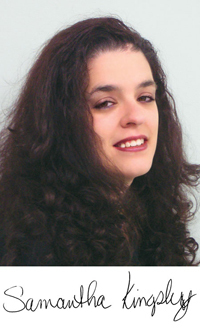 • Diet – Diets that are not species-appropriate are highly likely to cause allergic reactions. If symptoms don’t manifest right away, they will eventually. Slow buildup of intolerance is one of the most common reasons people don’t suspect the diet for their pet’s allergies. When there are allergies in animals, diet is the first thing to question. Most foods – even high quality ones – have grains as one of the top-three ingredients. • Proximity to the world – Proximity to the world means that they are low to the ground and they are exposed to every bit of dust, chemical, and/or grime out there, leading us to the next trigger. • Household chemicals – This includes everything from your cleaners, perfumes, and even dryer sheets. When you clean the floor with common cleaning solutions, a residue is left that your animals have no choice but to walk through. When they groom themselves later on, they lick that residue off and in doing so are ingesting it. When you spray anything in your house, always remember the old adage “What goes up, must come down.” Pets get a snoot-full of those perfume chemicals and their sinuses are overwhelmed. • Grooming supplies – All items you use to groom your pets should be safe enough to be ingested because they will no doubt groom themselves. Keep these points in mind when making choices and you will be well on your way to a happy healthy pet! There are many reasons why an animal might have foul breath. The four most common of these are accidents that damage the teeth and gums, congenital defects/developmental disorders, periodontitis, and tooth decay. These situations can cause the gums to loosen from the teeth, debris (including food, hair, and bacteria) to build up in the gums and between the teeth, abscessing and/or tooth decay, and of course foul-smelling breath.